The iPhone 5S may be the most popular Apple phone to date, but I'm still rocking my iPhone 4. No disrespect to the 5S, but I'm not upgrading until I can unlock with a retina scan or get Siri to sound like Scarlett Johansson. However, I wouldn't mind making my aging iPhone look more like the latest and greatest, and it can be done by changing the theme on an iPhone 4 to match the physical color schemes of the 5S. If you have a jailbroken iPhone 4, 4S, 5, or even a 5S, you can download the perfect theme to match the three iPhone 5S colors. 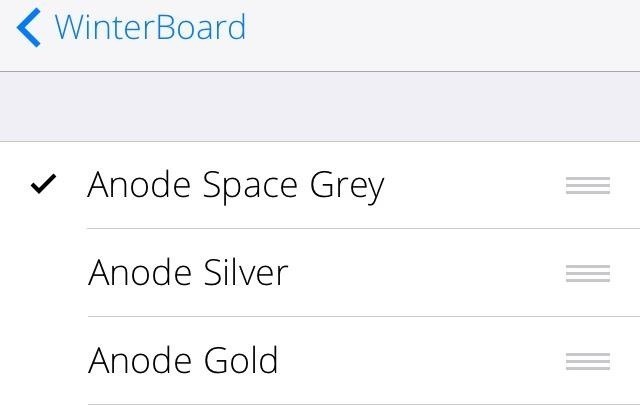 It's called Anode, and gives your home screen a new Space Gray, Gold, or Silver look. If you want a clean theme that perfectly matches your 5S with over 160 supported app icons, then Anode was made for you. And best of all, unlike many of the cooler Cydia themes, this one is free. As with most themes, you'll need WinterBoard on your jailbroken iOS device in order to install Anode's themes. Once you've entered the repo into Cydia, the themes should automatically be added to your WinterBoard. You can double-check by searching for Anode in the Search section of Cydia to see if there's a green check mark next to it. If there isn't, go ahead and install Anode just like you would any other Cydia app. 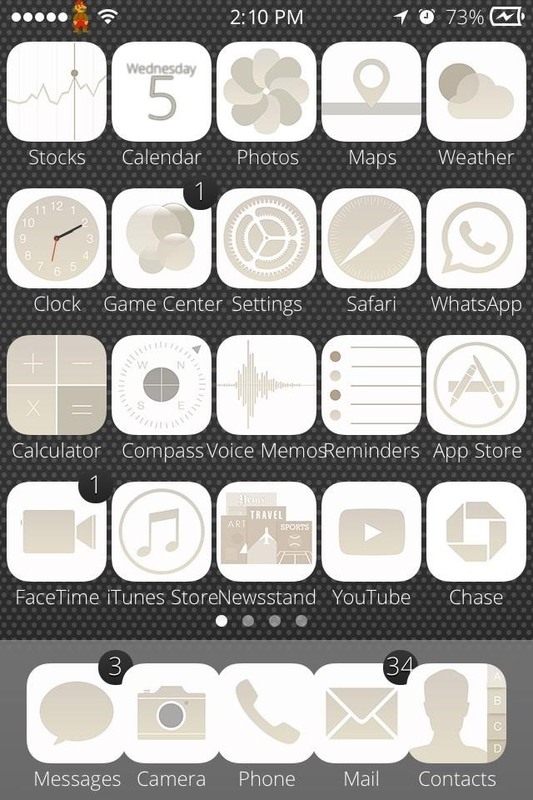 In WinterBoard, choose which of the three themes you want to try out, then Respring your device. Below, you can see what they all look like on my iPhone 4. The first is Space Grey, then Silver, and lastly Gold. Pretty cool, huh? 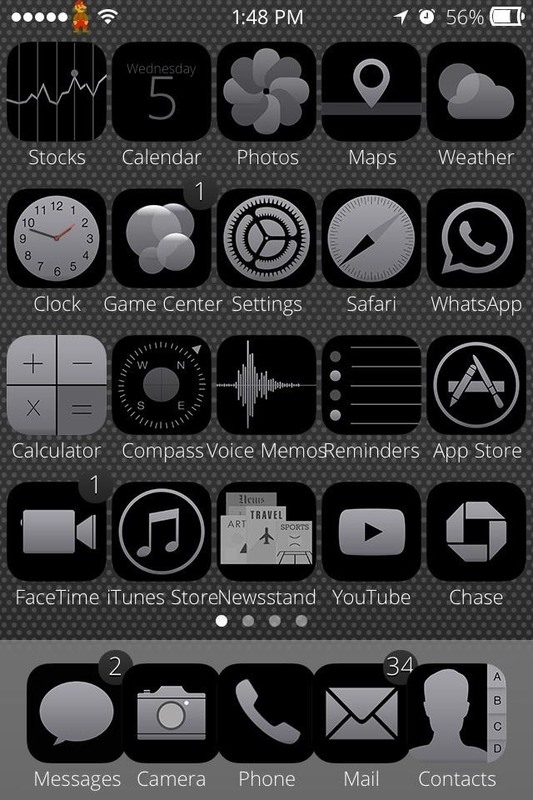 Since my iPhone 4 is black, I think the Space Grey theme looks the best. Make sure to mess around with the background images as well if you want to get more pop out of the lighter themes. If you find a great wallpaper/theme combo, post your screenshot in the comments below.